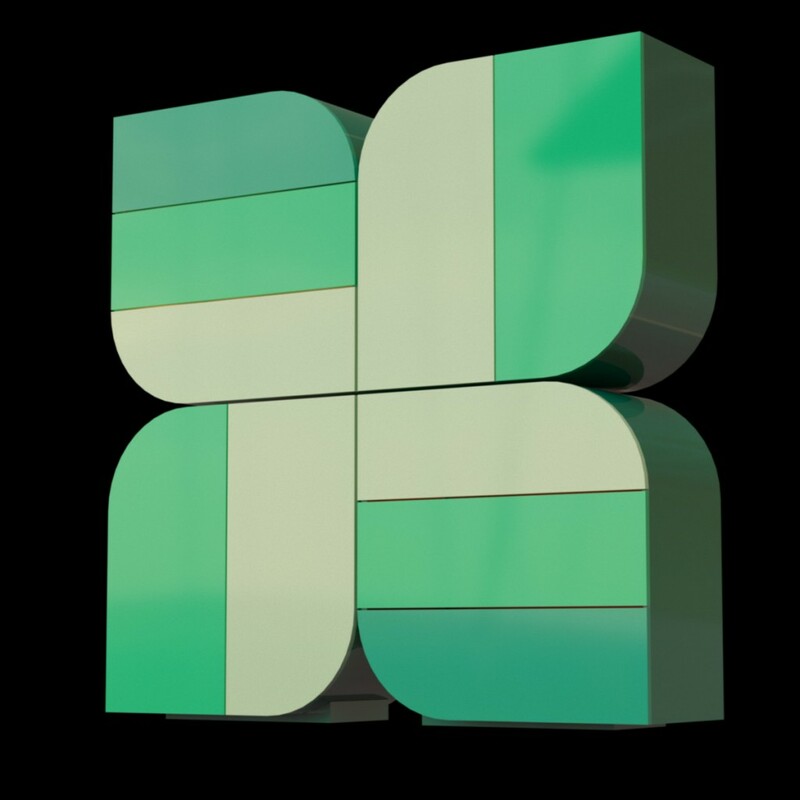 In the updated 2007 version from Studio Pierre Cardin, Quatrefeuille combines four Feuille sculptures in a single cabinet equipped with doors and drawers. As the name implies, the result of this union is an impressive and highly decorative fourleaf design. The unique pairing of the three colour tones lends a sense of unity to the creation while also making it extremely distinctive and recognizable. The interior LEDs create an interesting play of light through the numerous vanishing points created by the drawers and doors, and also enhance ease of use.